We are lines. Lines we are. Is there a "deeper" message? Of course it will be you to bring this message to the surface. Maybe to tell how the title, the mission We are lines. Lines we are. was born. 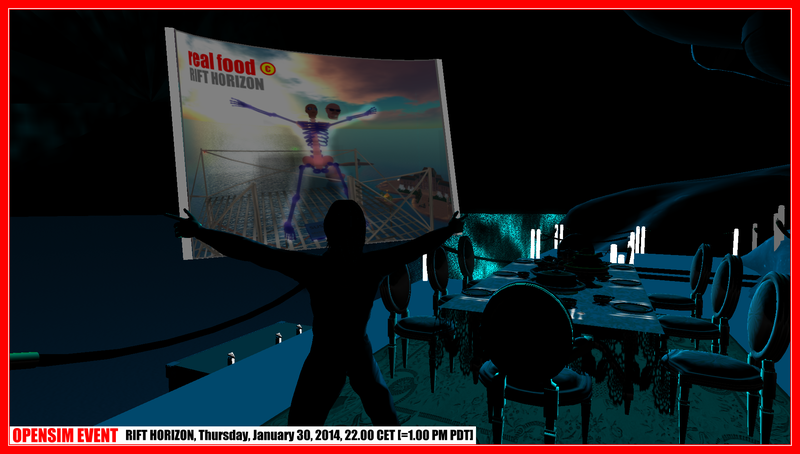 Art Blue got invited to the show Paradise Lost at Basilique [SIM Our Island] and he found the play so good that he doanted 10.000 Linden and later become a sponsor. Of course, when you know Art Blue you will say "of course" he had some ideas for improvement. Maybe Canary Beck got tired on all his suggestions, so he got invited to play the usher - a smart move of her - and Art Blue was handed out "the body of the devil" and "the wings and horns of the devil". Of course he inspected how they have been made as accidentially they have been given to him full perm. Seeing that the devil was made out of mesh lines - same way as he programmed 3D wireframe systems 30 years ago ... the idea for the competition was born. One idea is open for a shared use as it was made today: For the Relay For Life auction in SL he used "the visitor´s body and wing of the angel" in Paradise Lost. 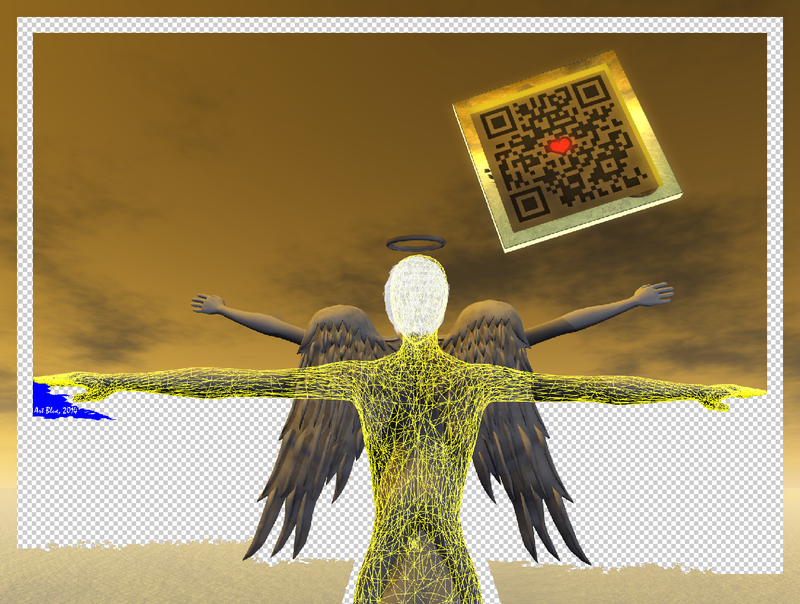 Placing himself in a copy of the angel´s body with wings [just wear it] spreading this shape in a vitruvian pose - then editing a copy of the angel´s mesh body. Now just a screenshot and the HUD is done [to wear on Center]. With this HUD you may fly to places to explore the beauty of our planet and capture the scene. The Code in the sky is the permlink to the one getting the art ... so the payee becomes part of the artwork ... and the memory will never be lost in time. Make a Blue Room. Just rez some walls color them in blue with full bright. Take a mesh body from somewhere for free, rez it in the Blue Room. Go in edit on the body, Press ALT to get rid of the beacons and take a screenshot. Now you have the yellow lines of the mesh body. Delete all the blue and you have a transparent slide. Make a frame (border) that fits in the size for a hud and set the transparent slide in the middle and you have your tool to explore places to get "We are lines". After a while you will see how easy you can expand the idea: different bodies, different windlight settings, different cout-outs, de-render objects you visit, step by step and you may get your story on 40 pictures. 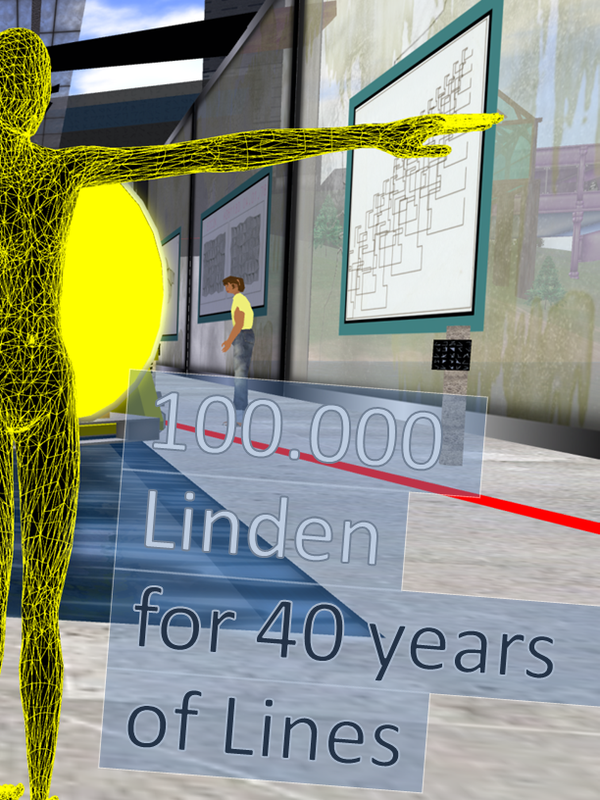 And there is the 10.000 Linden "A Line is born" incentive. It comes three times. Ask Art Blue if there is already one working on it. A Line is born is very simple to do. And do it without mesh. Only prims and sculpts you are alowed to use for A Line is born. So please no mesh this time! This is the task: On a clothes line 40 pieces or art are hanging "to dry" in the wind. You make full perm trees, holders, pegs, the pieces of art [you may take them out of a video you made]. 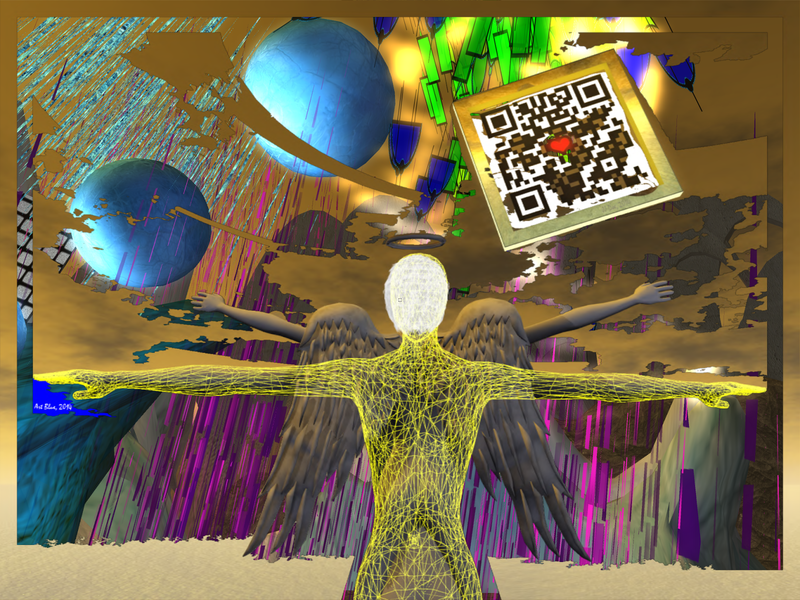 A Line of art is born will be arranged in opensim as the longest line of art ever, spanding over 100 of regions ... At SIM Claressa will be also one line ... nice to combine it with We are lines. Lines we are.